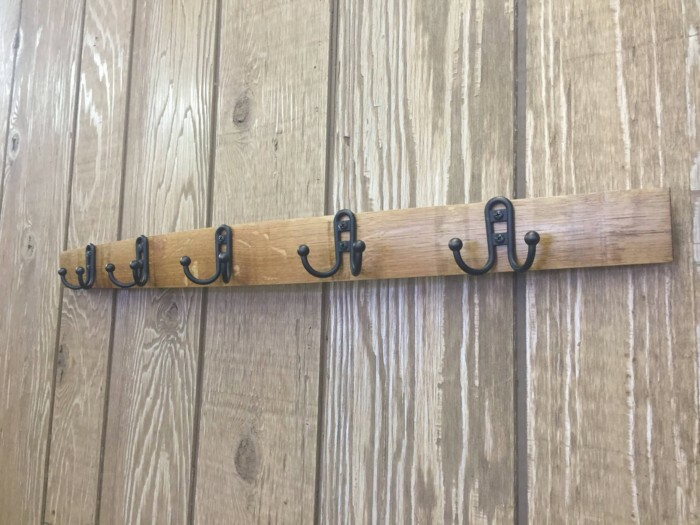 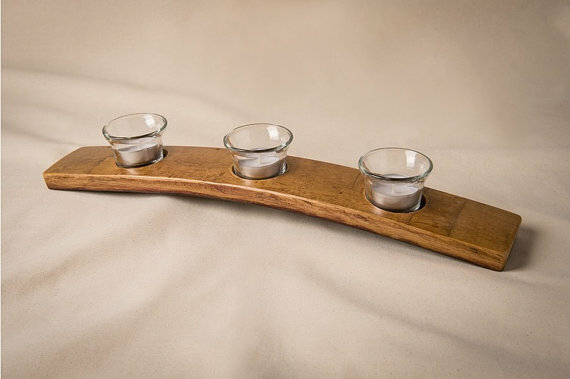 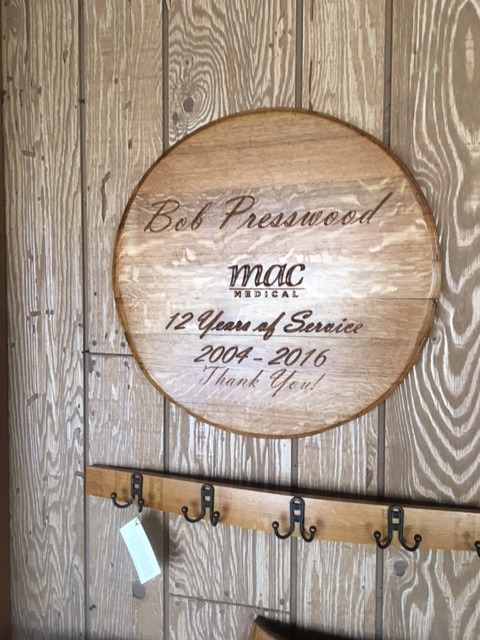 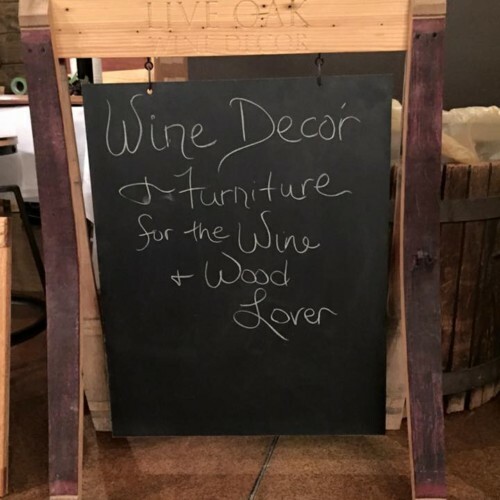 A truly unique addition to any room, this coat rack has been handcrafted from recycled wine barrels. The Stave Coat Rack securely anchors to the wall on both ends and gracefully arches away in the center. Features five durable oil rubbed bronze hooks. 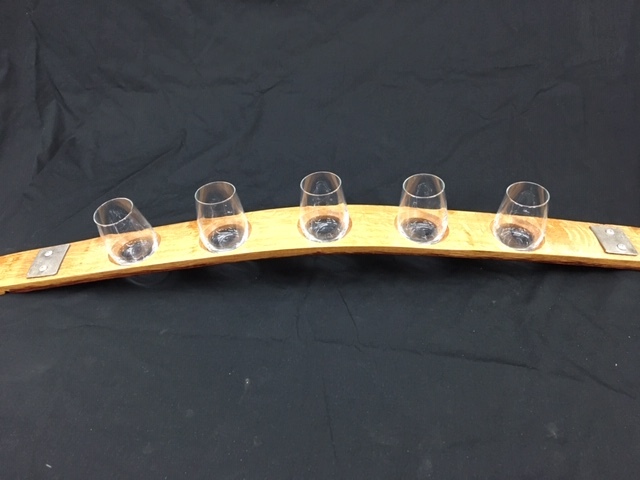 Each piece is unique and often features red wine staining and interesting barrel markings. 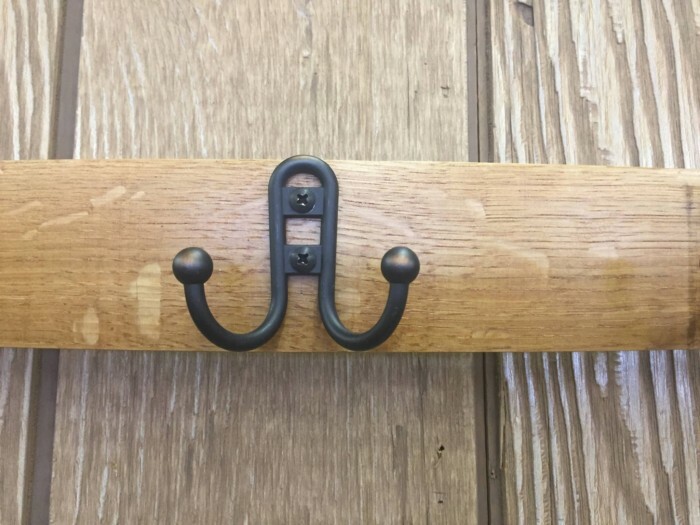 Comes with mounting screws and matching oak buttons. 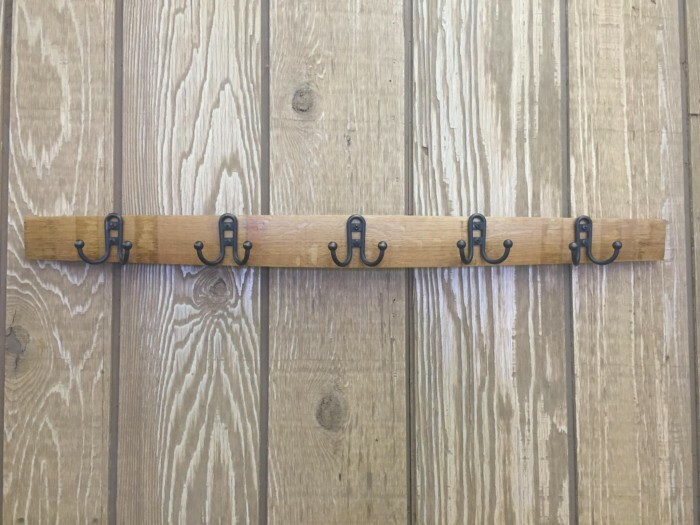 Approximately 35″ long by 3 1/2″ wide.